Millions of people in East Africa are experiencing chronic hunger and the threat of famine. Conflict, recurring severe drought, and high food prices are to blame. In addition, more than 800,000 people fled their homes due to violence in south Ethiopia in the first half of 2018. Much of the region experienced some respite near the end of 2018 and has a somewhat positive early-2019 outlook, thanks in part to humanitarian aid efforts. But South Sudan is facing high levels of food insecurity in various parts of the country over the next few months. More than 22 million people in East Africa need help to secure their livelihoods and acquire adequate food. The Famine Early Warning Systems Network predicts that below-average seasonal rainfall will cause an increase in food insecurity again in early 2019. Recurring East Africa droughts make it difficult for farmers and herders to produce crops and feed livestock. Children are the worst affected, with their health and development drastically impacted. 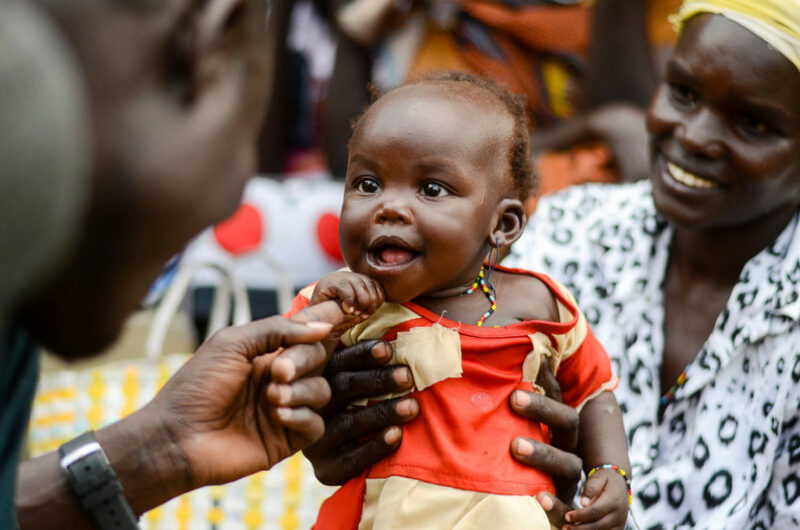 World Vision staff in the region say about 14 million children in Ethiopia, Kenya, South Sudan, and Somalia are struggling to get enough to eat. Extreme hunger. Drought. Conflict. Help children and families in East Africa. A look back at some of Africa’s major food crises shows conditions still faced by many Africans today: poverty, drought, conflict, and environmental degradation due to overgrazing, deforestation, and other types of environmental damages. 1968 to 1980s — A drought in the Sahel region led to 1 million deaths in Mali, Chad, Niger, Mauritania, and Burkina Faso. 1980 to 1981 — Drought and conflict led to widespread hunger in Uganda. 1984 to 1985 — Famine in Ethiopia. Drought in the northern highlands and problems delivering aid led to approximately 1 million deaths and massive displacements. 1991 to 1992 — The Somalia famine was caused by drought and civil war. 1998 to 2004 — During the Second Congo War, more than 3 million people died in the Democratic Republic of the Congo, mainly from starvation and disease. 2011 to 2012 — The Horn of Africa hunger crisis was responsible for 285,000 deaths in East Africa. 2015 to 2016 — A strong El Niño affected almost all of East and Southern Africa, causing food insecurity for more than 50 million people. 2017 — 25 million people, including 15 million children, need humanitarian assistance in East Africa. In September, inter-communal conflict in Ethiopia leads to more than 800,000 people being displaced internally. 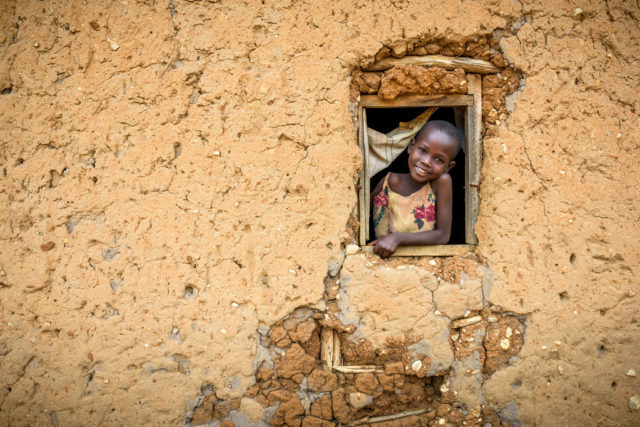 2018 — From February to May, torrential rains in East Africa caused floods that killed people, livestock, and crops, and washed away roads and bridges making it hard to deliver aid. In June, rain brought some relief to dry pastures and cropland. But the height of the lean season brought severe food shortages for many. 2019 — The regional outlook through May is positive, overall. But forecasts for war-rattled South Sudan show easing food insecurity in some areas and increased needs in others. Why are people in Africa facing chronic hunger? Why does it seem like there’s always a hunger crisis in Africa? How can people become resilient so they don’t need aid? How can I help children and families in East Africa? Recurring failed rainy seasons have made it impossible for many East African farmers and herders to keep up their livelihoods. Flash floods during the 2018 rainy season are increasing humanitarian needs in South Sudan, Ethiopia, Somalia, and Kenya. 6 million people in the East African region are displaced due to conflict and drought, making them dependent on aid to meet their needs. Communicable diseases threaten the lives of children. More than 131,000 cases of acute watery diarrhea or cholera were reported in Ethiopia, Somalia, and Kenya during 2017, according to the World Health Organization. 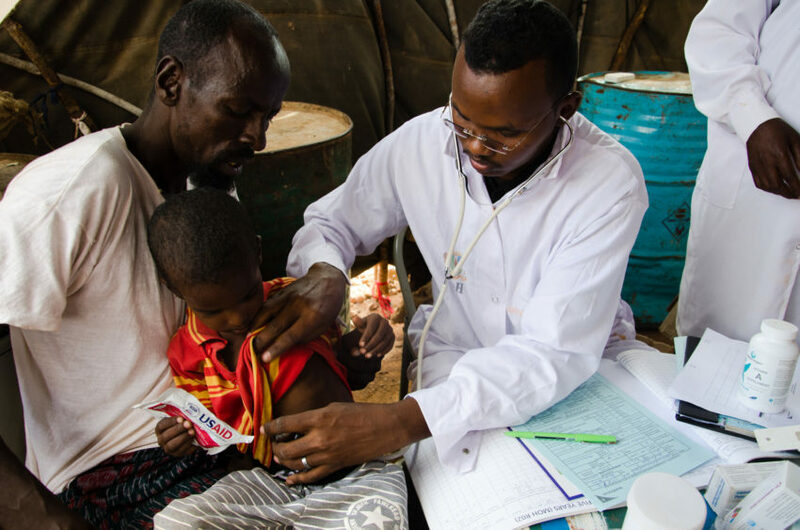 Measles outbreaks in Ethiopia and Somalia affected more than 24,000 children. Conflict, hunger, poverty, and displacement create a climate in which children are at risk of violence and exploitation. 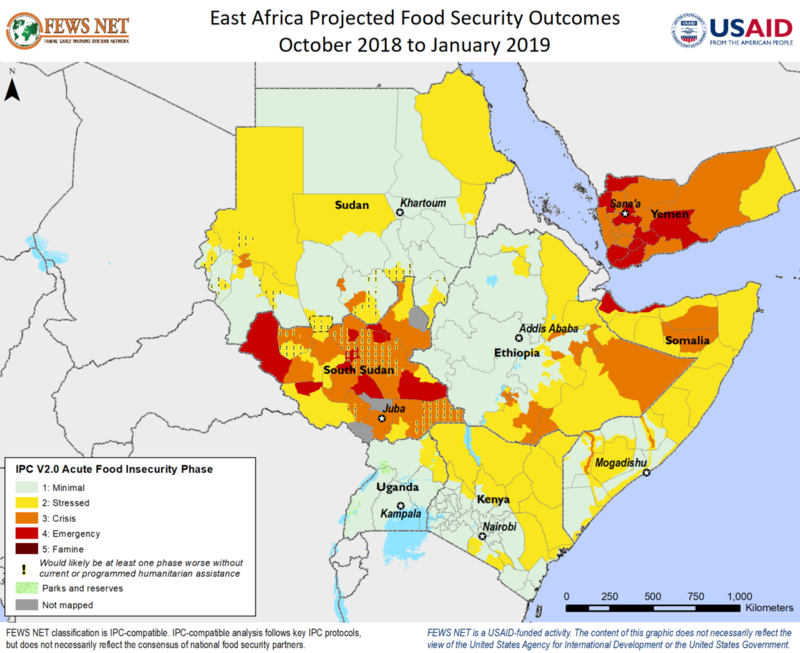 While decreasing in some areas, serious food insecurity will be a concern in East Africa in early 2019, according to the Famine Early Warning Systems Network (FEWS NET). Recurring drought, conflict, and instability have led to severe food shortages. Many countries have struggled with extreme poverty for decades, so they lack government and community support systems to help their struggling families. A compressed cycle of recurring drought is plunging the same communities into drought again before they have a chance to recover sufficiently from the last one. In South Sudan, where people fled their homes because of violence, few farmers have been able to harvest a crop. This limits what is available at community markets and raises food prices. In addition, during the rainy season, 60 percent of the country is inaccessible by roads, which limits transportation of food aid as well as goods sent to market. From March through May 2018, long rains were 150 to 200 percent above normal in some East Africa locations. This brought some relief to herders as livestock benefit from renewed grasslands. However, in many places flash floods and overflowing rivers wiped out crops, roads, and bridges, thwarting both cultivation and relief activities. 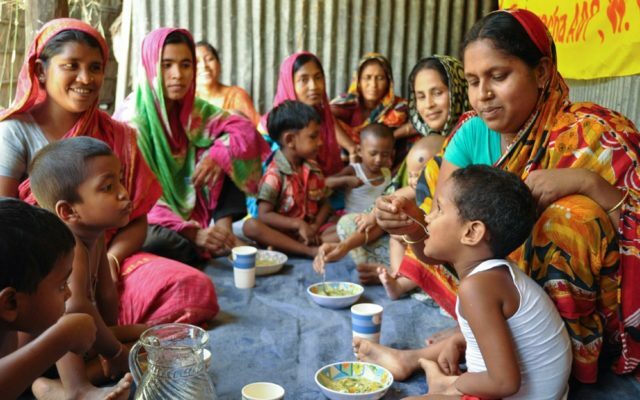 In such conditions, poor families can’t afford enough food to keep their children healthy, and eventually, they need emergency help from government agencies or aid groups when they run out of money and food. We’re not talking low funds or food that’s been in our pantry that’s well past its expiration. We’re talking about not having any money or any food at all — nothing. The word famine means an extreme scarcity of food. But it’s more than that — it’s the absolute worst-case scenario for a food crisis and has a technical definition used by the humanitarian community. South Sudan declared famine in February 2017 in two counties in Unity state with a population of about 100,000. 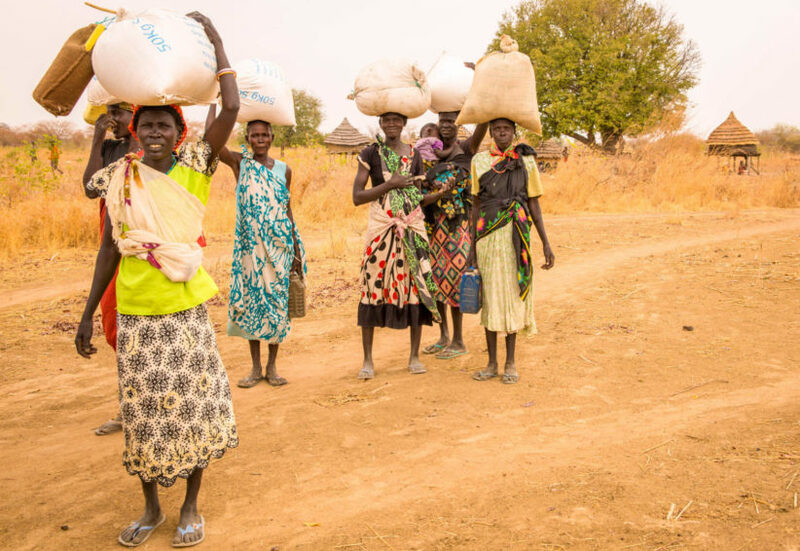 By July, enough aid had reached the area so that famine conditions had ended. Droughts have become more frequent and intense in recent years in western, eastern, and southern Africa. These droughts affect food-production systems in fragile contexts in similar ways that conflict does. Less food and water also means vast numbers of dead livestock in affected areas. This devastates families’ source of income and food. And when nearly 40 percent of children in sub-Saharan Africa grow up stunted due to chronic malnutrition, they lack the capacity to learn and contribute to society. It’s because their little bodies don’t get enough of the right nutrients at the right times to support physical and intellectual growth. Thus, their countries lose out on significant leadership and innovative potential, which perpetuates the cycle of poverty and deprivation. Malnutrition refers to an unhealthy condition that develops when your body does not get enough of the vitamins, minerals, and other nutrients it needs to function properly. It can occur when you don’t eat enough food or you aren’t eating enough healthy food. Those who are most at risk experience severe acute malnutrition, known as severe wasting. This means their bodies are beginning to lose the ability to absorb vital nutrients. So they’re literally starving to death. And they’re nine times more likely to die than a well-nourished child. Malnourished children don’t just need more food. They need nutrient-rich food treatment, called ready-to-use therapeutic food (RUTF). 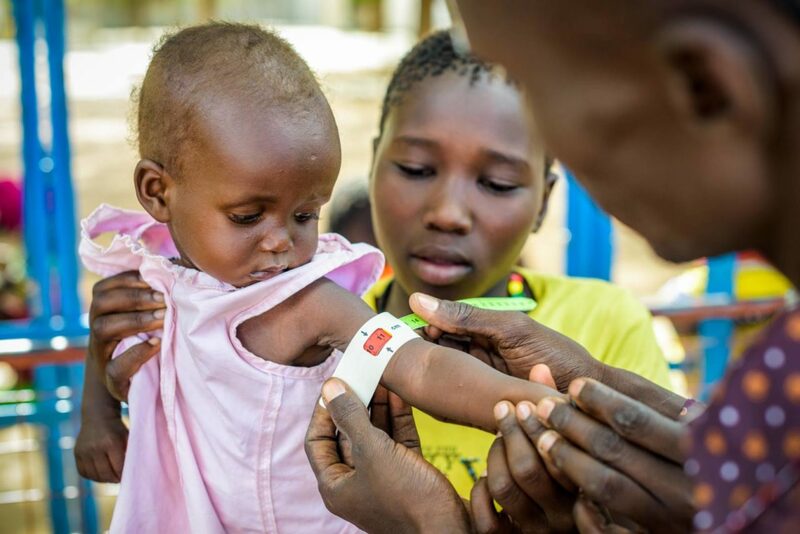 Medical workers often measure a child’s mid-upper arm circumference to gauge the level of malnutrition the child is experiencing. That’s why you may see photos of people wrapping a band with green, yellow, and red sections around a malnourished child’s tiny upper arm. Green indicates the child is not malnourished. Yellow indicates malnourishment. Red indicates severe malnourishment and risk of death. 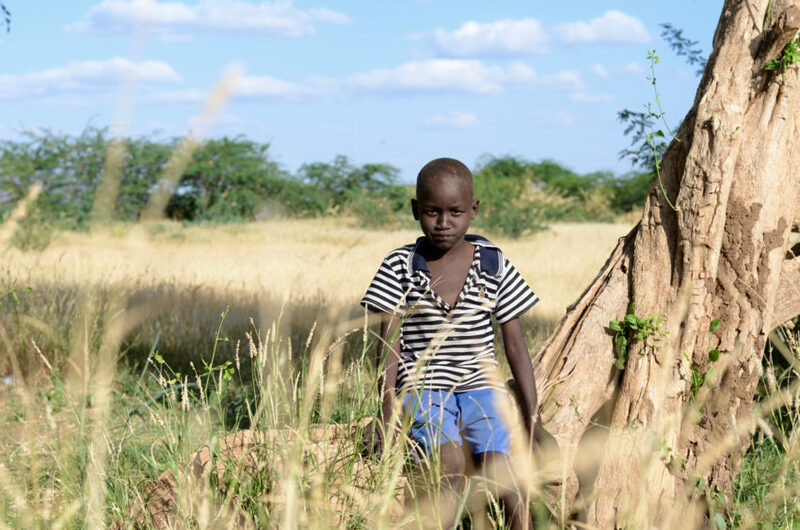 How is World Vision responding to the East Africa hunger and food crisis? 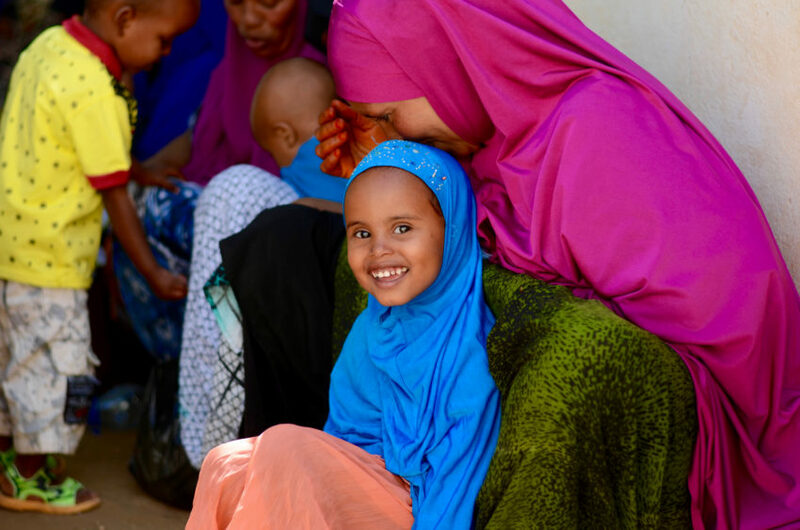 Between October 2017 and September 2018, World Vision staff in the region were able to reach more than 2.7 million people in Ethiopia, Kenya, Somalia, and South Sudan. Interventions include life-saving food, clean water and sanitation services, medical assistance, livelihood skills training, educational programs, other essential relief supplies, and child-protection activities and programs. Funding provided through child sponsorship programs in Kenya and Ethiopia enabled our local staff to intervene to assist communities in 2016 before the crisis intensified. They provided drought-resistant seeds and training for farmers, cash-for-work programs, and other interventions that help families avert crisis or weather it more confidently. 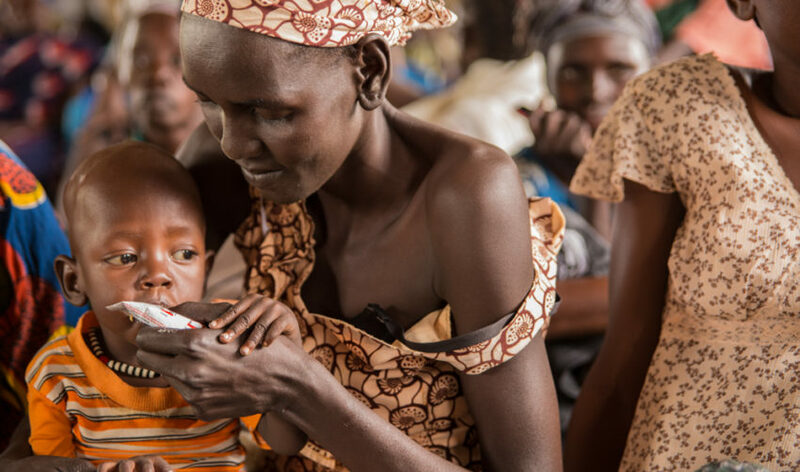 By the time the food crisis became full-fledged, staff in South Sudan and Somalia were already helping communities struggling with food insecurity and malnutrition due to conflict and years of persistent drought. There’s no substitute for life-saving aid in an emergency. 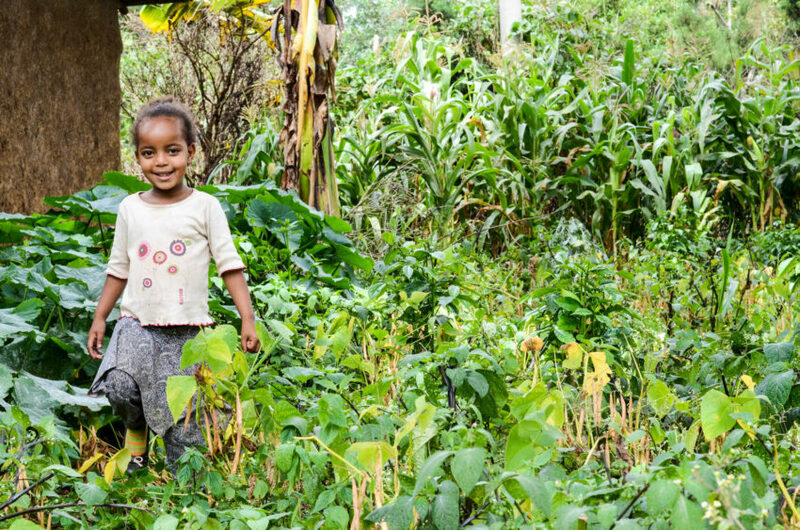 But World Vision also focuses on long-term solutions that build resilience, which allows families and communities to bounce back when crops fail or streams dry up. Livelihood skills training is one aspect of World Vision’s current responses that help families find their own way out of a food crisis. Building and repairing water and sanitation facilities contribute to healthy living. How can I help hungry children and families in East Africa? Pray for children and families affected by famine and hunger crises in East Africa. Give to our East Africa hunger crisis fund. Your gift will help provide emergency food aid, agricultural support, clean water, medicine, and other essential care to hungry children and families. Sponsor a child. World Vision’s sponsorship program is the most powerful way you can help fight poverty at the family and community level. When you sponsor a child, you provide access to life-saving basics like nutritious food, healthcare, clean water, education, and more. You will help change a child’s life story and the life of their family and community. Chris Huber and Kathryn Reid of World Vision’s staff in the U.S. contributed to this article.